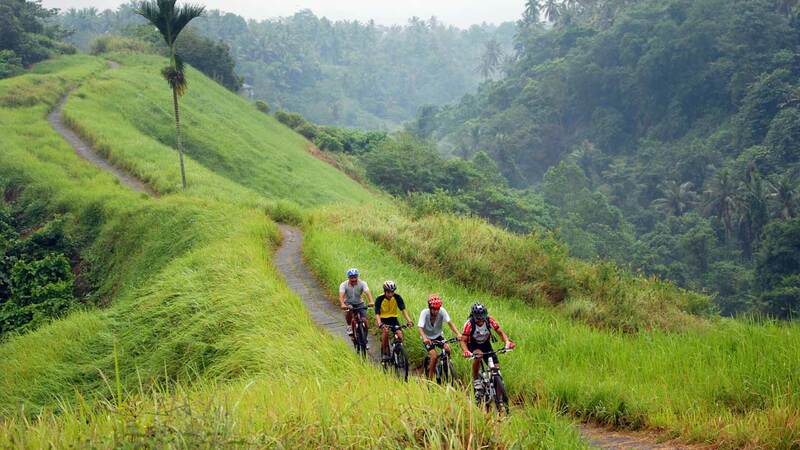 An exhilarating 3-hour downhill Bali cycling trip, off the beaten track! 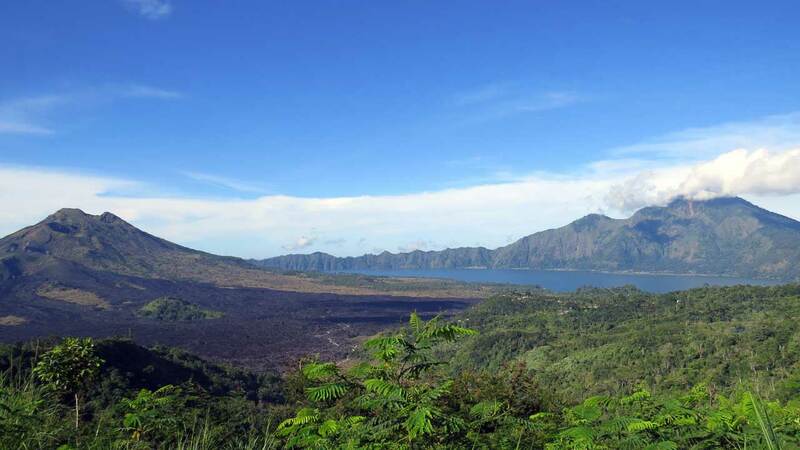 Our Cycling Tour Bali lets you take in the wonderful views of Bali’s primary active volcano Mount Batur from the rim of its gigantic crater in Kintamani. 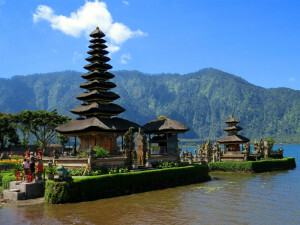 Explore the authentic heartland of Bali – world famous for its beauty and tranquility. Peek into the daily lives of local folk in their rural settlements to gain an insight into the interconnected relationships between culture, rice farming, Hinduism, and their close-knit village community life. 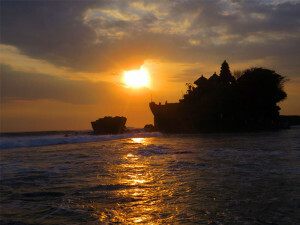 Experience a warm welcome in a traditional village for lunch and a taste of Balinese family life. Transfers in a modern and fully air-conditioned minivan/minibus with your own dedicated driver. Fully serviced mountain bikes and cycling equipment including helmet. Guidance and supervision by your friendly and knowledgeable professional tour leader. A light breakfast snack with tea/coffee at a highland restaurant. Delicious lunch in the setting of a traditional, rural Balinese village. 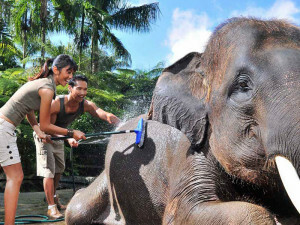 Feeling like the beaches, party life or shopping in Bali has taken too much toll on you during your holiday? 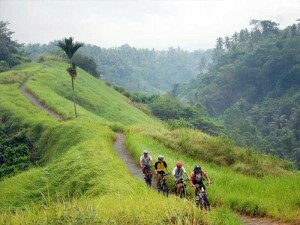 Search no further, hop on the bike and join the cycling discovery route of Bali’s amazing countryside – not just mere adventure, but also a cultural, ecological, historical and culinary experience in one! Your 3 hour long cycling tour is preceded with safety briefing conducted by your cycling tour leader. 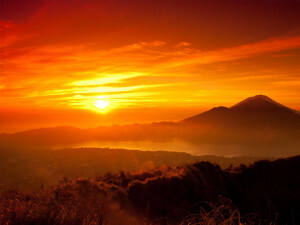 The downhill route will lead you past valleys and forests with prolific greenery, plantations of Bali staple crops (cocoa, vanilla, cloves, coffee, vegetables and fruits), lush green rice paddies, hidden Hindu shrines with sacred Banyan trees, minor back roads and tranquil Balinese settlements unmarked by time. 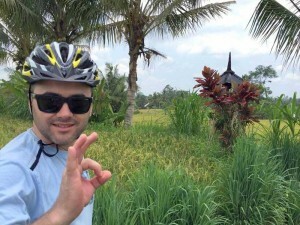 Our cycling tour Bali aims to educate and familiarize you with traits of living in such inland remote villages, the essence of rice agriculture (planting, growing, harvesting and processing rice), the cultural aspects and role of family in contemporary Balinese society and the importance of Hindu beliefs with endless ceremonies and offerings in temples. If you are lucky enough to encounter a ceremony in progress, the invitation to witness the ceremony is usually extended by the villagers and the guide will oblige with advice on the respective rituals. The relaxed pace of this cycling tour will allow many stops upon request to cherish the bliss of the moment, take photos of the beautiful surroundings or meet the local people. Everywhere along the route you will be greeted by friendly grins from local farmers and hellos yelled by jovial bunches of adorable children. 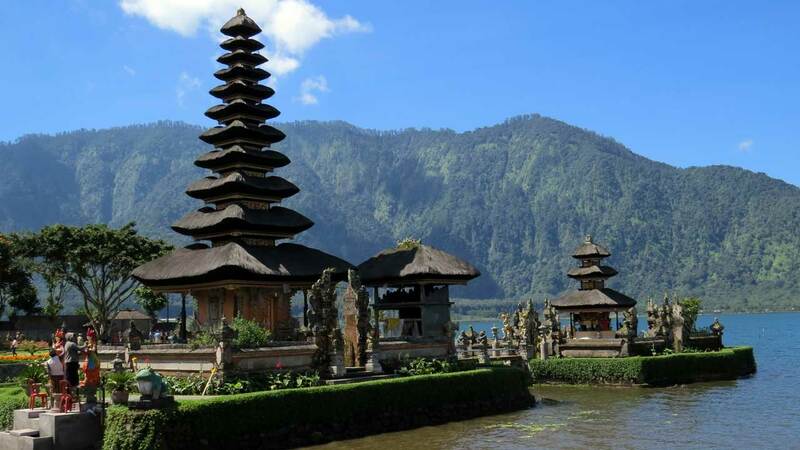 After working up an appetite, your cycling tour will end with a tasty Balinese lunch hosted by a local family in a traditional village near Bali’s cultural centre, Ubud.